The primary purpose of your HVAC system is to provide you and your family with comfort. Your heater and air conditioner bring the air within your home to a certain desired temperature. 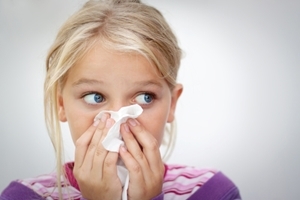 In addition, your HVAC system affects the indoor air quality of your residence. At Steele Mechanical, LLC Air Conditioning and Heating, our indoor air specialists vastly improve the quality of the air within homes by installing whole-house air cleaners in New Jersey. According to the Environmental Protection Agency, indoor air is on average two to four times more polluted than outdoor air. As such, if you have not taken steps to promote quality of the air within your home, contaminants and pollutants can be affecting the health and comfort of your loved ones. Our New Jersey HVAC contractors are here to prevent this for you with whole house air purifiers. If you are concerned about indoor air pollutants and are interested in installing a whole-house air cleaner in your New Jersey home, call Steele Mechanical, LLC Air Conditioning and Heating today. Our New Jersey indoor air quality experts can answer any questions that you may have about your prospective air cleaner and our amazing services. We can schedule your appointment today. The sole purpose of air cleaners and purifiers is to remove unwanted pollutants and contaminants from the air within a residence. There are countless types of pollutants that are targeted including smoke, dust, dander, mold spores, chemicals, building material particulates, and more. Each and everyone of these substances can cause discomfort or worse, allergies and health problems. The best way to remove all of these harmful things from that air that you breathe is to install a whole-house air cleaner directly into your HVAC system. All of the air that is brought into your heater or air conditioner will first be treated by the air cleaner. As such, your new system will simultaneously protect the health and well-being of your family and prevent air contaminants from harming your HVAC appliances. When you hire our air conditioning company in New Jersey to install an air cleaner in your home, you are choosing the best professionals for the job. Our team works with all types of air purifiers including electrostatic attraction systems, ion generation devices, and HEPA filtration units. Our indoor air quality experts can provide you with the advice and information that you need in order to choose the best air cleaner for your property and our family. You are guaranteed to be amazed with and satisfied by your new air cleaner for years to come. If you would like an estimate for air cleaners in New Jersey, please call 609-259-3210 or complete our online request form.